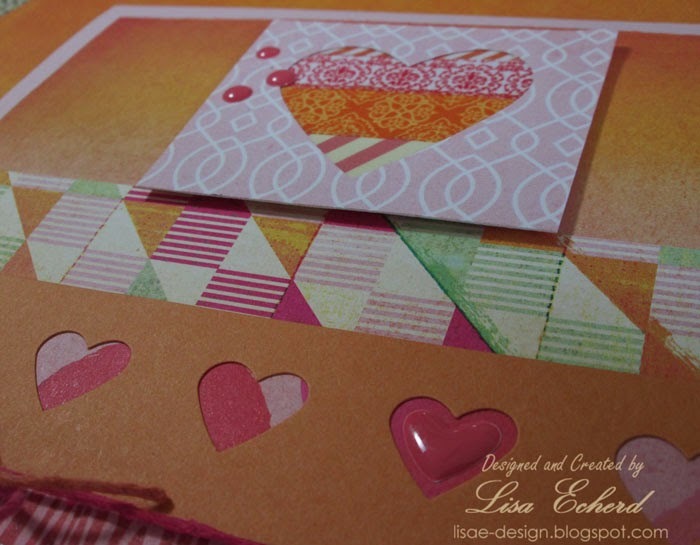 Lisa E Design Blog: Almost forgot Valentines! We were just talking about Valentine's Day last Saturday. We went out to dinner with my parents who had received and Outback gift card for Christmas. Saturday night is NOT the night to go the Outback. My husband and I seldom eat out in the evening anymore anyway or on a weekend. He considers one of the greatest joys of retirement to be that you can eat out, visit attractions, and shop when everyone else is at work. We talked about how impossible it would be to eat out anywhere in our nearby city next Saturday for Valentine's. Somehow that did not jar my memory that I had not made any cards until today. This card is patterned after a scrapbook sketch from my 2014 Sketchbook. It was really easy to convert the sketch to a card. I've used mostly BasicGrey Highline papers and some punches. There is no stamping at all on this one. And here is more info on the sketchbook. Such a beautiful mix of colors and patterns, Lisa! Love the touches of enamel and bit of twine for texture! 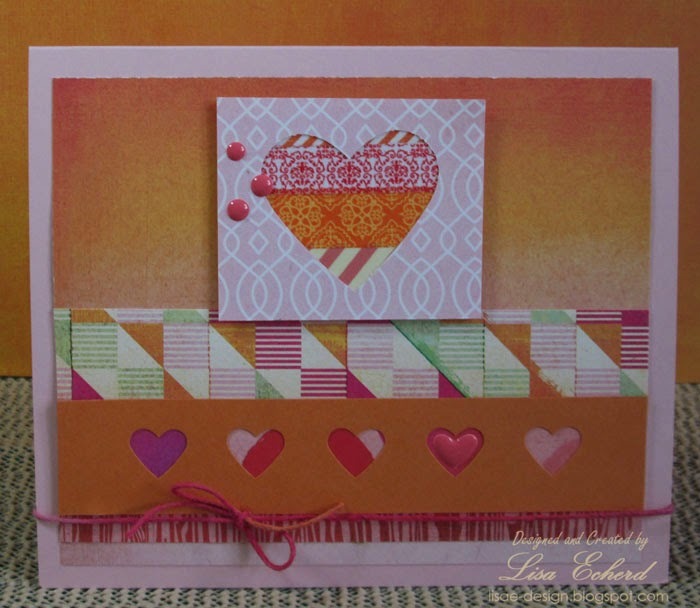 Loving your use of patter paper! Great card!